Disclaimer: We are NOT affiliated with SelectQuote. 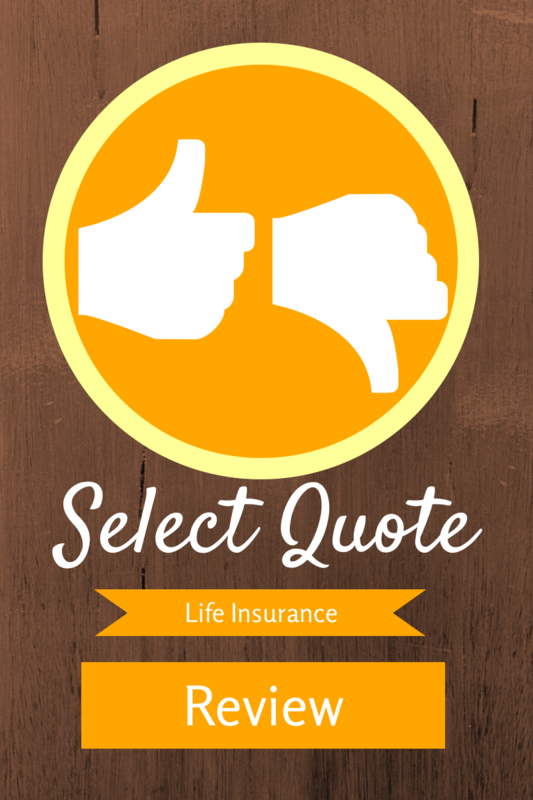 We are a direct competitor and this is our review of SelectQuote life insurance services. Updated: May 2015 with more detailed information about SelectQuote’s operation. You’ve probably seen Select Quote advertising on TV or the radio. They’re all over the media and have become one of the most well known life insurance businesses out there. Consumers considering contacting Select Quote should be more informed about their operation. Select Quote Reviews from customers are all over the place. However, there are some advantages and disadvantages when working with them, that is why we always recommend that everyone shop around with some of the best life insurance companies. Before you make your final life insurance purchase decision though, we recommend looking into some other company reviews as well, such as our reviews on Zander Insurance, Primerica Life Insurance and United Home. Now, lets get to the facts from this call center out of San Francisco. Select Quote is a call center. Licensed agents have massive sales goals to hit and use high pressure sales techniques to get you to apply for coverage on your initial phone call. Even if you buy a policy from Select Quote, you’ll never be able to contact your agent again. You are working with a call center agent, not a true independent life insurance agency whose agents make their careers around life insurance. These are the same core companies offered by the other life insurance call centers. Nothing sets them apart. The quotes you receive won’t be any different from another call center. Often times, those 11 life insurance companies can’t offer the best price available on the market. A TRULY independent life insurance agency or agent will search the entire market for the most affordable policy available. Many Consumers watch Suze Orman on TV and think that Select Quote is endorsed by her because she passed some sort of integrity or value test. This couldn’t be farther from the truth. Select Quote has simply paid Suze Orman enough money to endorse them. We have nothing against Suze Orman, we just want consumers to know the truth behind her endorsement of SelectQuote. For those with no health issues, SelectQuote’s guaranteed level rates will typically be some of the best on the market. They offer 11 life insurance companies and the 11 companies they offer have great pricing for those without any health or lifestyle issues. Even though our agency offers over 60 life insurance carriers, we are typically in the same ballpark for consumers in good health. There are also guaranteed acceptance life insurance policies available for those with health issues. They have embraced technology and have made the process easy to secure life insurance coverage and schedule an exam for the consumer. They streamlined the sales process so it doesn’t take the consumer a lot of time to apply. It’s important to note that most online life insurance agencies have these advantages. It’s really easy to get someone healthy the best rates on the market – it doesn’t take much work to get it done. And every online life insurance agency has this technology. So take these positive SelectQuote Reviews in context with everyone else. If you already have life insurance and want to know why you didn’t get preferred life insurance rates, we can direct you to someone who can help answer your questions. We know a few agents who have left SelectQuote and told us about their HUGE sales quotas to hit, so they had to put some pressure on you. They are trained to pump out as many applications as they can. Basically, you’re a number to their bottom line. An annual review of your life insurance policy, which is standard in the life insurance industry, isn’t performed by SelectQuote. You will never hear from the agent on your policy. You can forget about calling your agent with questions because IF your agent still works for SelectQuote, they won’t return your calls. SelectQuote is very expensive for those who have any health issues. Select Quote call center agents aren’t trained in underwriting impaired risks. Or at least not like they should be. They simply don’t have the knowledge of underwriting that they should to provide high risk life insurance shoppers with the best rates. We believe consumers deserve much better than Select Quote Insurance Services and that’s why we wrote this review (we couldn’t find detailed feedback online). We actually know a few agents in SelectQuote’s call center. Their script is so aggressive that at one point if they didn’t ask you if you wanted a home or auto insurance quote at least 3 times during a phone call, they wouldn’t give that agent any new leads for a week. Could you imagine? It’s no wonder their agents break off to form their own agencies or leave the life insurance business all together. On top of that we get email after email of people who have horrible experiences at SelectQuote and apply with us – they claim they never fully understood what they were buying and most of the time the rate was more expensive than they quoted. These types of sales tactics are probably why we hear about so many SelectQuote complaints. We know that they’re accredited by the BBB and have an A+ rating, but you can pay the BBB to remove complaints so I’m a skeptic of that.. The SelectQuote reviews from their company website can’t be verified or trusted since we know their hand selected to make them look great. Obtaining the most competitive rate on your term life insurance policy is about using the RIGHT life insurance company for YOUR unique risk. Your independent life insurance agent should be knowledgeable and have access to ALL the top rated carriers on the market. Unfortunately, SelectQuote falls short here. A life insurance agent’s main duty is to present your application in the most favorable light to the underwriter with the information that’s provided. It’s common in our industry for an agent to submit a “cover letter” with your application painting the overall picture of your health and background to the underwriter. This presentation is critical when obtaining the most favorable rate possible. SelectQuote DOES NOT even submit a cover letter. We are assuming it just takes too much time and hurts the bottom line. This is a huge disadvantage to SelectQuote clients. If you’re applying for a 30 year term, preferred non-tobacco, million dollar policy – wouldn’t you want your agent to take the extra time to make sure you receive the quoted rates you’re applying for? At this point it’s clear that we don’t have a very high opinion of SelectQuote and that’s because we’ve spoken with so many consumers whose SelectQuote reviews have conveyed awful experiences with them. I would assume it’s the same for their auto, medicare supplement and senior services departments as well (although we’ve never received a direct complaint). As an alternative to SelectQuote, let Rootfin earn your life insurance business. We believe in working on behalf of our clients, not the 11 life insurance companies SelectQuote uses. Whoever will offer you the best options out of the 60+life insurance companies we offer is who we’ll recommend. You’re committing to protecting your family and paying the life insurance premiums and we’ll commit to securing the best rates available. So whether you are seeking to purchase life insurance for yourself or life insurance coverage for your parents, Rootfin is here to help in any way we can! If you have a current SelectQuote policy that was issued up to 3 years ago, we can save you money on those premium payments you’re making. We also believe in being there for our clients. When you need to make changes to your life insurance policy or when you have questions, you’ll be able to get the SAME agent you spoke with who guided you through the process. Like SelectQuote, we have the technology in place to make this process as smooth and as quick as possible. Our goal is to shop the market for the best rates for you, and in the process i promise we will earn your trust. Starting the life insurance buying process isn’t always the most fun thing to do. But we will work hard on your behalf to get you the best rate around. Don’t put off buying because it WILL leave your family without the necessary cash to take care of bills after you’re gone. Think you may have a few other questions for us? Reach out to us via email, contact form or our phone number. We’d love the opportunity to answer those for you and also let you know if you’re currently in the best life insurance plan to fit your goals and budget. Regardless of where you get your life insurance, through Select Quote or through us, you shouldn’t wait another day to get the process started.